Liza Comtois is a Seattle based dramaturg and producer. Her dramaturgy credits include nine world premiere adaptations with Seattle's Book-It Repertory Theatre, Milwaukee's First Stage and AJ Epstein Presents as well as production dramaturgy for Intiman, ACT, Book-It Repertory Theatre, Strawberry Theatre Workshop and upstart crow. 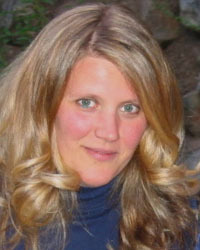 She was also dramaturg at the 2008 and 2009 Icicle Creek Theatre Festivals. Liza is a script evaluator for the Sundance Theatre Program and participated in their Summer Theatre Labs and White Oak Lab. Her producing credits include The West Side Story Project for the 5th Avenue Theatre, Invisible Ink and Project X: When the Comet Comes for House of Dames Productions and as the Forums Producer for the Seattle International Film Festival. Other experience includes work with ShadowCatcher Entertainment on Sherman Alexie's Smoke Signals, the National Performance Network tour of O, Say a Sunset written and composed by Robin Holcomb and as Intiman Theatre's Artistic Associate under Bartlett Sher. She is currently Associate Producer at The Ethereal Mutt - Limited.